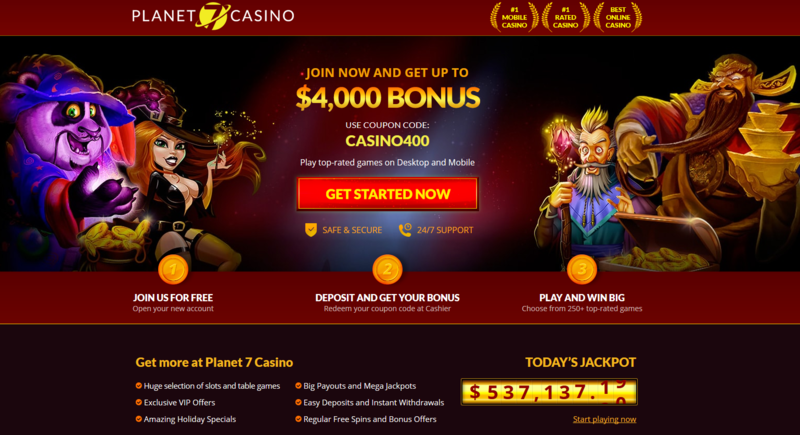 Bovada Casino offers a good mixture of slots and table games. The total number of games is over 200, so this casino has something for everyone. The slots come in all varieties from traditional slots, to 5 reel bonus slots, to progressive machines with multi-million dollar jackpots. Blackjack players looking for favorable rules will appreciate the single and double deck options as an alternative to the shoe game. In the single deck game, although the dealer hits soft 17, with doubling on any two cards and doubles after splits both permitted, the house edge for basic strategy play is only .19. This is far superior to what you will find today at most Las Vegas casinos. The website offers some useful tips and tutorials for who might need to brush up on a particular game. You can also play for free, if you wish, before you start playing for real money. As if 200 casino games weren't enough, you can always head over to Bovada Poker for some real money table action. Bovada's online poker room is also US-friendly and is great for Hold'em games at any stakes.